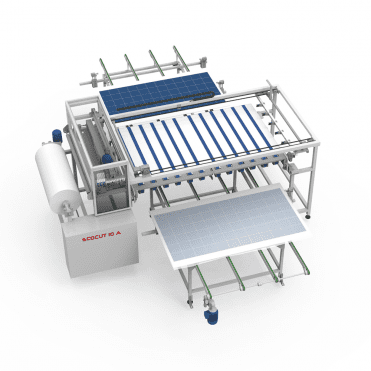 ECOLAYUP R is designed to simplify the high efficiency module production. The robot’s arm picks up the strings from the stringer machine and places them on the glass. The strings are positioned very precisely due to the use of two cameras, which allow an accurate alignment. 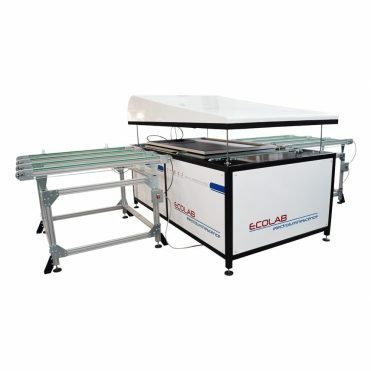 The strings are positioned on the glass by the robot which turns them clockwise or anticlockwise in order to allow the electrical connection between the strings. 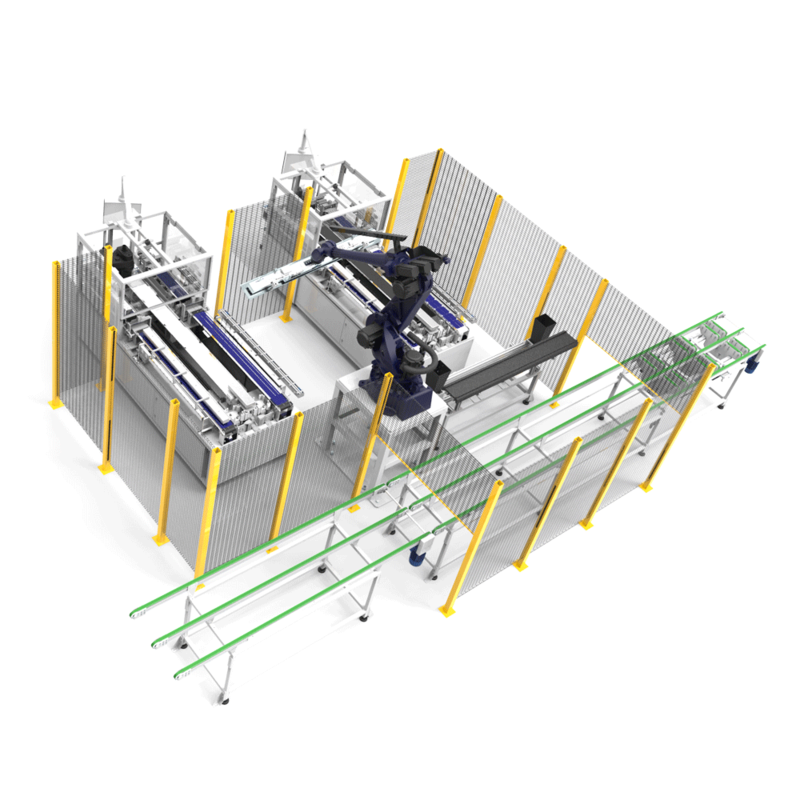 ECOLAYUP R can manage up to 2 high efficiency stringer machines ETS2100, reaching the capability of 125MW/year.